Stakeholders at a public forum and media interaction in Wa have appealed to transport unions to charged drivers who allow drug peddlers to advertise and sell drugs in their buses to passengers. They said the various transport unions should find a way of monitoring their drivers to deter them from allowing peddlers from selling drugs in the buses while urging passengers to fight the practice. The stakeholders comprising students, security agencies, media practitioners, government workers; bread and sachet water sellers among others were making inputs to help improve the operations of the Food and Drug Agency (FDA). The participants noted that over-reliance on drug paddlers for self medication was dangerous as many innocent people died as a result of their activities. Mr. Gordon Akurugu, Head of the FDA in Upper West Region, said in other parts of the world, consumers regulate about 80 per cent of goods that they consumed while the FDA regulates only 20 per cent. He expressed worries about adverts on herbal medicine on radio and television, which he said had contributed largely to some patients refusing to go to hospitals and other health facilities to seek for medical attention, resulting in the deaths. Mr. Akurugu advised consumers to buy their drugs from approved sources and avoid buying from drug peddlers. He announced that the FDA has opened its office at Tumu –Burkina Faso’s border and appealed to the media to help educate consumers about the works of the FDA. 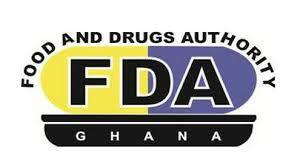 Mr. Agyemang Duah, Acting Deputy Chief Executive of the FDA, said there were several unapproved roads where drugs were passing through into Ghana, noting: “Bringing drugs by roads is an offence”. He expressed worries that advertise on drugs and other consumables were ongoing without approval from the FDA and urged the public to help ensure that counterfeit drugs were eradicated in the system. Mr. Duah cautioned consumers to scrutinize drugs administer at chemical shops and hospitals facilities to ensure their potency and adverse effects on patients. Mr. James Lartey, Head of Communications of FDA announced that the FDA would come out with a booklet which content would be about hygiene and it would be used at school to promote hygiene among children.